Distro time! 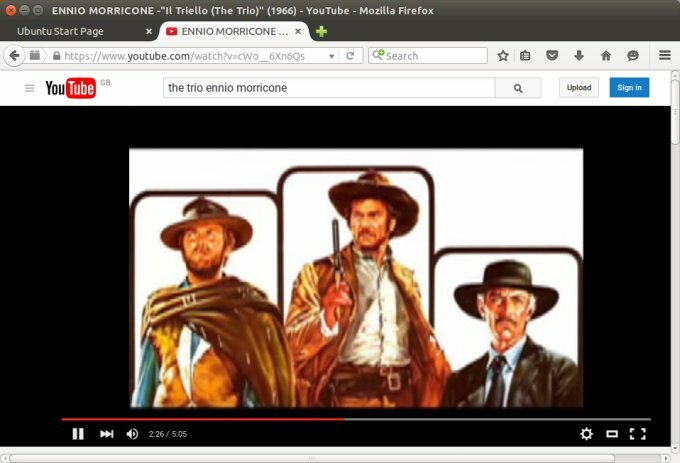 After a quiet distro slayin' period here in Dedowood, we embark on the great hunt once more, and we pay an excessive amount of time to Ubuntu and its derivatives, starting with the original beast. If you've followed my reviews lately, you know that I found Trusty to be excellent, and Vivid was also rather cool. Let's see what the latest in the series can do. Our test machine will be Lenovo G50, which comes with the modern obstacles of multi-boot, Windows 10, UEFI, Secure Boot, and other things that make Linux folks raise a skeptical brow. Let us. Let us! No problems getting the Werewolf to boot. Quick and hassle free. All of the hardware was initialized correctly, and the distro was running lighting fast, even from a little thumb drive. Quite commendable. No problems, again. Wireless was working fine, and I hope the old Realtek bug has been forever resolved. Samba sharing was rad, including quick discovery, and the same applies to the printing business. 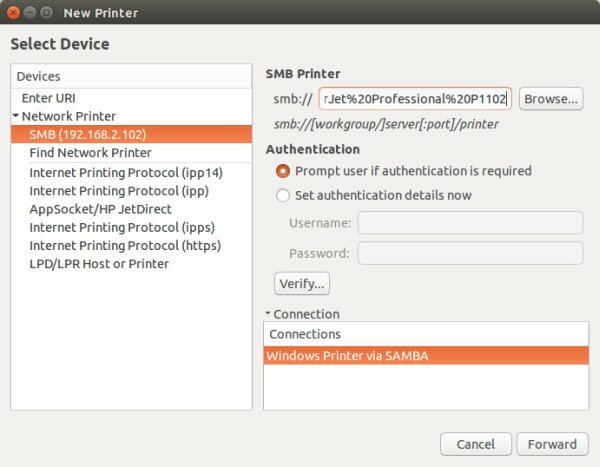 At first, you might be worried, as there's no explicit Samba option in the applet, but if you try the network search with the correct IP address of the printing device or the server that has one attached, it ought to work well. 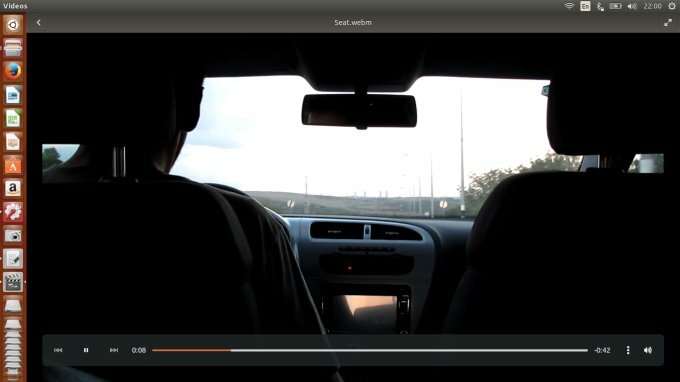 The really good and fancy stuff will happen after the installation, of course, because Ubuntu's rather generic and politically and legally correct live session does not offer much in the way of entertainment and recreation. I didn't notice any radical change in the app space, look & feel, or such. You don't get any fancy codecs. So later on. I mean installation. Anyhow, the wizard has changed. It looks different. The fonts looks different, and the text feels more bunched up. For example, the list of available languages matches the available space, and no one entry is partially cropped, which used to be quite annoying in the past. On the other hand, the part where you choose the target devices does feel a bit busier, less clear to assess and read. 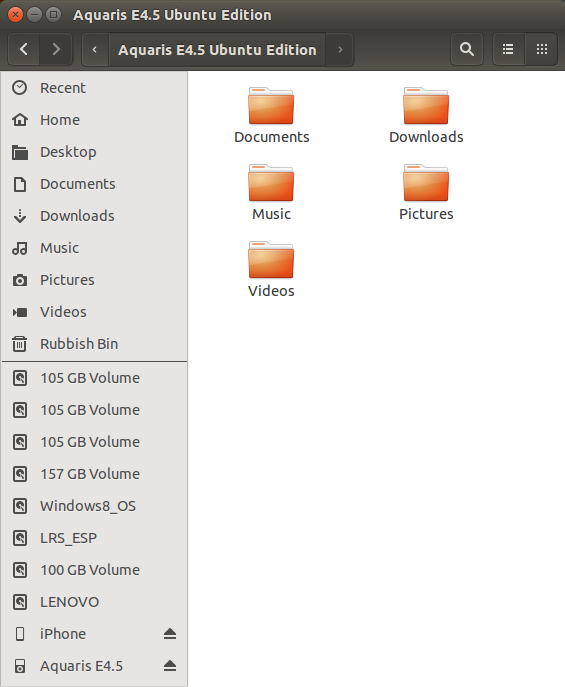 I had a whole bunch of available partitions, and some extra free space, but I decided to overwrite the openSUSE setup, for reasons that will become apparent in a dedicated article in a few weeks. Nothing big or too dramatic, just the way it is. The setup was extremely fast. Really. 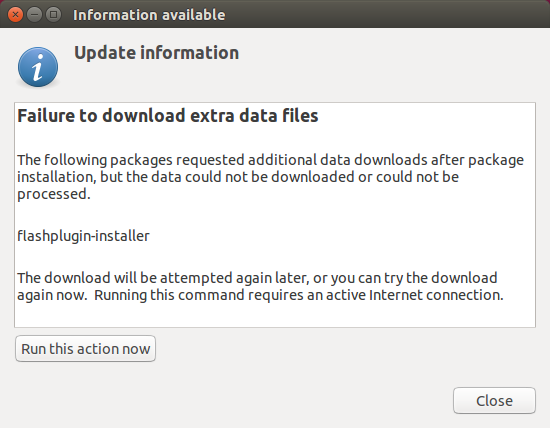 This is the faster Ubuntu I've ever tried. However, you may not like the fact the installer window resizes to its pre-15.10 size for the slide show. This redesign needs more thinking. About five minutes later, it was done. OMG, that was so punny. And maybe even stupid. But you must appreciate the joke behind the text. Or not. Sorry, blame the Canonical naming and innuendo department. Well, Ubuntu 15.10 was all set up and running. Fast, did I say fast? To my surprise, there were a few annoying issues the moment I logged in. I got my update prompt, which is all good and fair, but then the system complained about not being able to get a Flash Player update. I did have it available, just not the latest version. Then I tried to connect to my Samba shares, so I could grab some media files for additional testing. Alas, it wasn't meant to be. The system complaining about Samba timeouts and such. Turns out the update did something nasty in the background, and I had to reboot to get things sorted out. WTF? Is this Windows 98 that we're talking about? 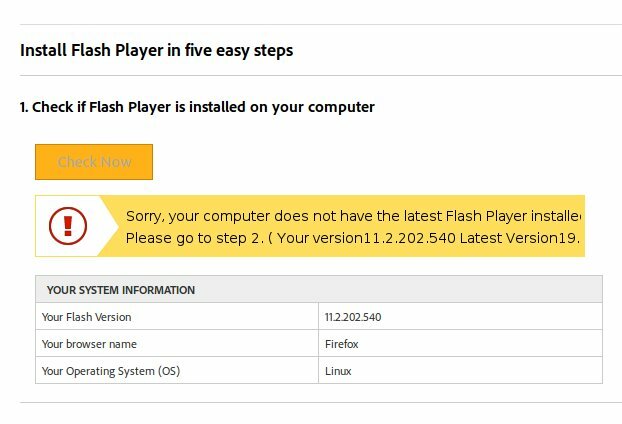 Why the hell would I ever reboot my Linux box? Just restart the services, unload the libraries, do some magic. Smartphone connectivity and still more problems! Let's put the media files aside for a moment. 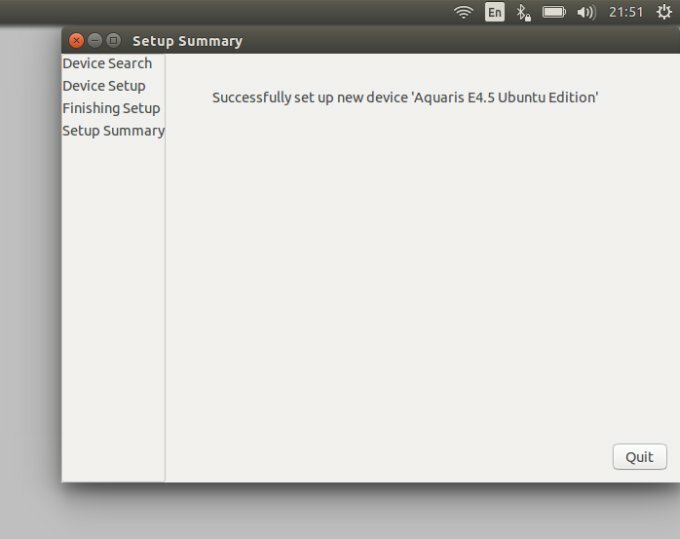 While fiddling around and testing, I also plugged in my BQ Aquaris E4.5 device. 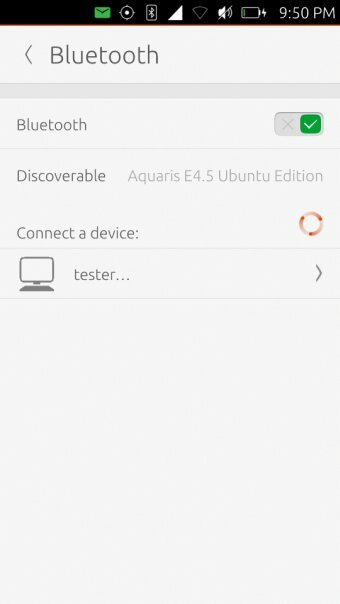 After all, you'd hope that an Ubuntu desktop would lovingly accept an Ubuntu phone connection, right? Well, this triggered a big system problem. Again, what? Why would this ever happen? Why oh why? A reboot later, things were looking much better. 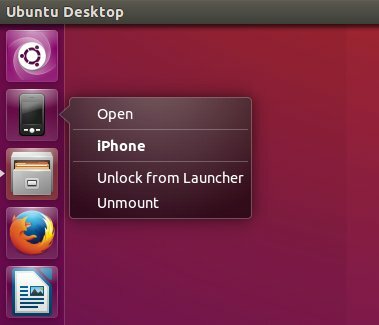 I was able to access a whole bunch of phones, Ubuntu included. Another tricky item on the list is iPhone, but this was one was quite all right, too. I didn't have to do anything special to be able to access the files and copy them off the phone memory. 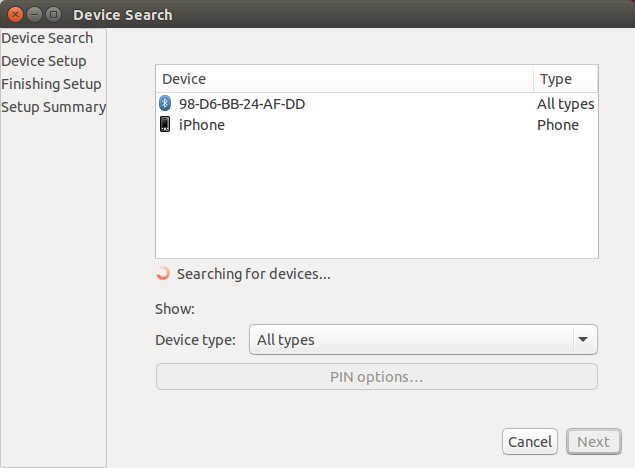 I omitted the mention of Bluetooth earlier because I wanted to do a dedicated test with the Ubuntu Phone. 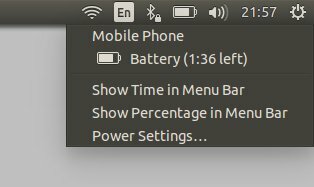 There's been a series of updates for the Ubuntu Phone, which is one of the big reasons I wanted to see if the old issues have been ironed out since my original review. There's an article on this coming soon, but let's get back to Wily Werewolf. 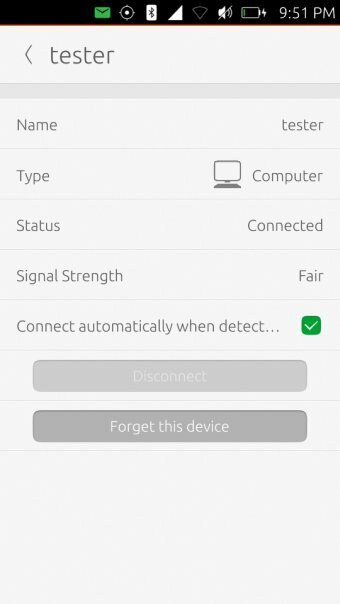 The Bluetooth applet has been redesigned - and it is similar to the installer. All scrunched, dense, with text touching the window borders. My OCD demons aren't pleased. However, the connectivity was good, which means bonus points for the Aquaris, with a few small niggles here and there, which means penalty points for Wily. See above. Yes, the system crashed - again - while playing with Bluetooth. Unacceptable. 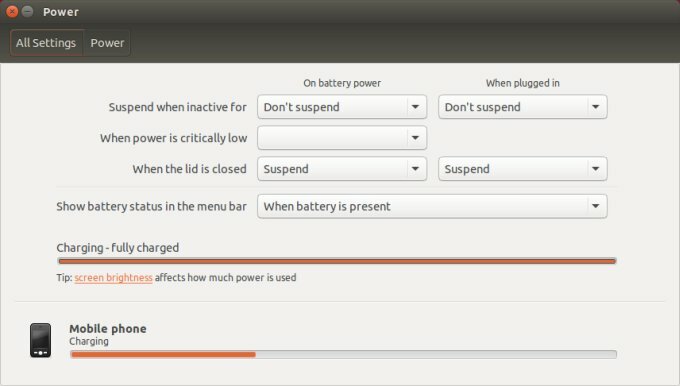 With the phones connected to the laptop, the battery icon went missing. For some reason, it was showing a generic piece of artwork not, and only after disconnecting the variety of USB devices did it go back to being what it normally is. And then, the problem did not reappear. Weird. On the bright side - ha ha - you get your mobile devices to show in the power settings. This is an important step forward, but then, all the associated fireworks should be sorted out. Remember, non-LTS Ubuntu releases are all about testing, but that does not lessen the Wrath of Khan budging in my temples. Media stuff, all good. Well, almost. 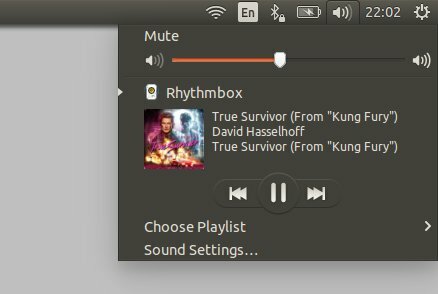 By default, MP3 files do not open in Rhythmbox, but Video, which means you don't get the system menu integration. If you use the media player, then things look better. I also struggled finding Flash-only clips on Youtube. This is a rather good sign, in my book, because we sure don't want Flash anymore, now do we. Still, you do get the plugin, and it works. Trust me. Tiny improvements and refinements all over the place. Amazon search in the Dash is somewhat better than it used to be, but I'm still somewhat confused about some of the options and choices. It sure requires more work, more intelligence. Then, if you try the weather applet, you will be confused. First, the transparency can be annoying, as well as the positioning of elements inside the Dash. Cropped items and whatnot and such. But what I find infuriating is the random weather report, plus the use of medieval units. Where the hell is Anshun? Moreover, why would you give me temperature in Celsius but wind in mph? Nowhere did I select USA in the installer, so there's no reason to use Imperial units, is there. I'm confused and ever so slightly more confused. Wily Werewolf is super fast but it is also massively hungry. It runs on steroids, and it will use tons of memory and CPU while giving you a very brisk experience. That's the price you pay, it seems. I didn't like the processor itchiness, and 860MB memory utilization is way too high for an idle system. This is 35% more than Vivid. Blimey. Concordingly, ipso facto, ergo, battery life suffers as a result. It is always tricky estimating the consumption just by looking at pretty number, but for a system that does not do much and waits for the reviewer to take his screenshots, less than three hours isn't an impressive feat. Most of the time, the counter would display 2:30 or so. Then, I'm not sure about Bluetooth or mobile battery drain. Like I said, it isn't very easy to estimate the average usage, because there's no such thing. But I can sure say that given my rather consistent approach to testing, multiple sampling points, I believe my estimate is rather accurate. Not perfect, but good enough to tell us what to expect. This is an alarming trend. 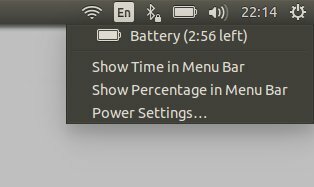 First, the memory use has almost doubled since Trusty, it is double from what Xubuntu Vervet is using on this same box, and if you look at the battery numbers, again, half as much as the Xfce-flavored version. We still need to see how the latest Xubuntu will behave, but still. I'm going about doing this this time the other way around, but I hope you don't mind. You're experiencing the adventure through the explorer's eye, the way he saw and encountered the obstacles and problems. 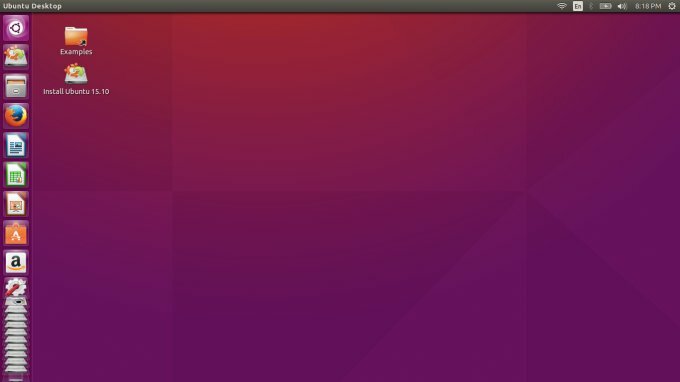 The program set is very Ubuntu. Simple, conservative, and everything you've seen before in previous editions of the operating system. Wily Werewolf does not do anything drastic in the this space, and it gives you a reasonable, balanced compromised of software. 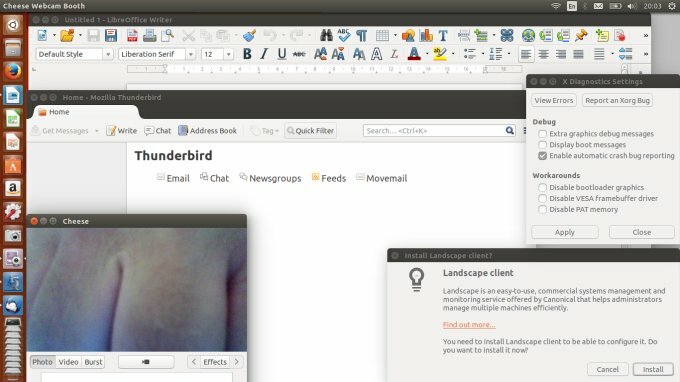 Firefox, Thunderbird, LibreOffice, Cheese. Landscape client isn't really there, despite what the System Settings menu tells you. A few more programs, and such. Okay. A few more things I noticed and wrote down during my testing. 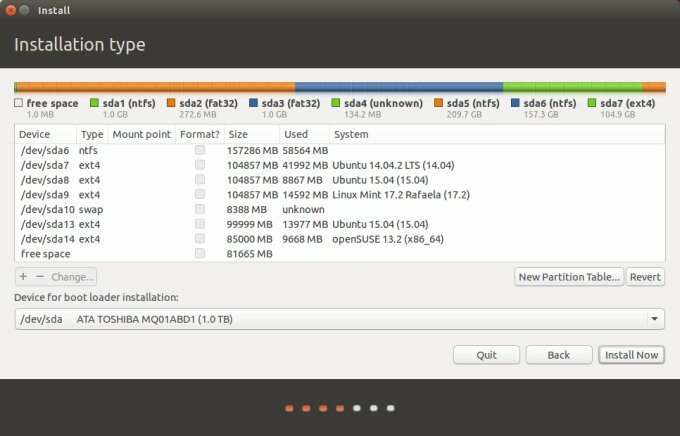 The installer initially stalled while discovering the disk and partition layout. The whole thing took a long while the first time, and I actually had to terminate the installer and start fresh. Not my cup of tea. 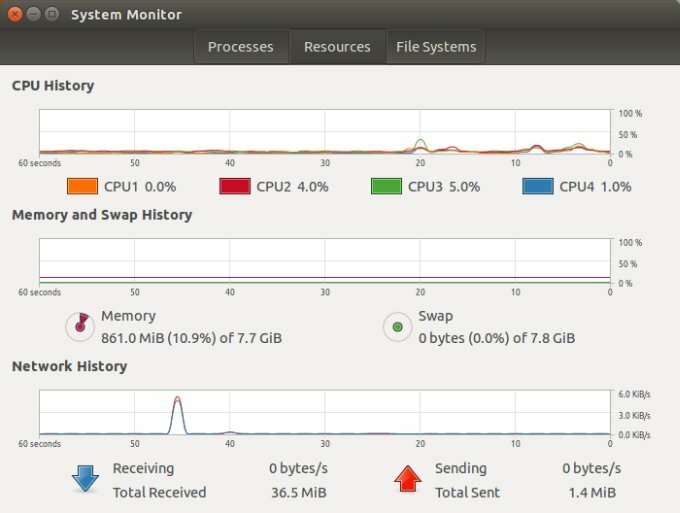 Samba copy stalled once or twice, again in the live session. Touchpad did not interface any time during my testing, which is quite commendable. 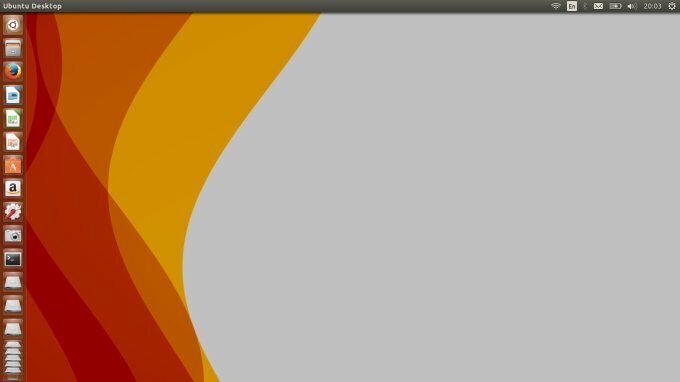 Is Ubuntu the first distro to actually not force the silly taps on you? We might be at the onset of a revolution! 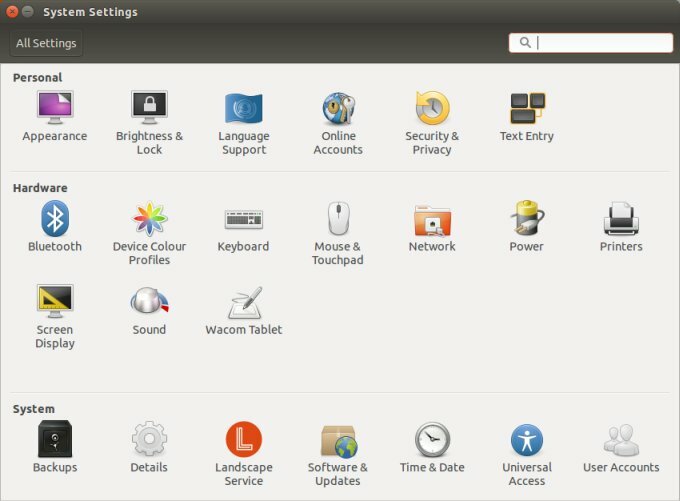 I also had GParted installed, but it is not showing in the system menu. 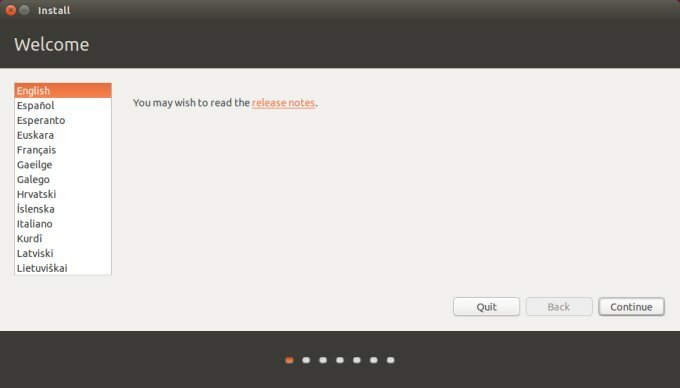 To the best of my recollection, this same problem occurred in Xubuntu several months ago. Either way, it is a super annoying little bug, and it needs to be sorted out, quick. 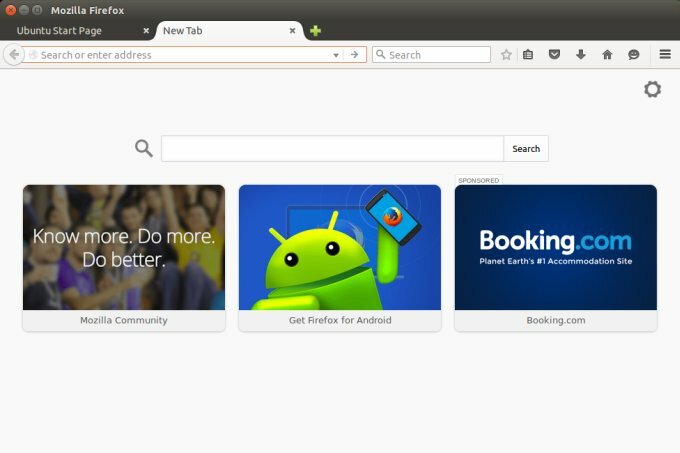 Last but not the least, Firefox new tab thingie. Unrelated to this review per se, but you do get advertisement right there. I did complain about this, and now it's a reality. Yes, you can turn this off, and yes, it has nothing to do with Wily, but it sure does leave you with some extra sour taste at the end of a review. Associative negativism. You can say that Ubuntu 15.10 gave me the ads [sic]. See how it works? 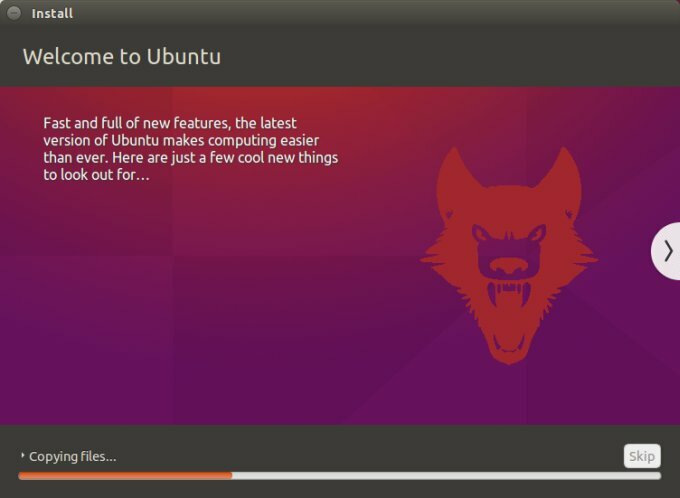 Ubuntu 15.10 Wily Werewolf isn't a bad system. Hardware detection is good, the speed is phenomenal, everything works once you get past the initial hiccup or three. Really, a day or two into the testing, the system stopped complaining and throwing exceptions. This means that Samba, Bluetooth, smartphone, and other bugs ought not to happen again. For a perpetual in-between-LTS unofficial beta, this is almost understandable. Almost. Because Vivid was much more nicely behaved, and if there's one thing I hate, it's the lack of consistency. Unpredictability is horrible. Give me a good experience, or give me a bad experience, but please try not to seesaw between them erratically. Continuous, steady change in behavior, any which way. I didn't like the resource hunger or the battery life, either. Dash and online search needs massive improvements. Other than that, there's nothing too special or remarkable about this autumn release. It's another increment in a solid family, and overall, it underperforms compared to some of its siblings and ancestors. Not the best, definitely not worth a perma upgrade, but you might find it more palatable to your hardware and use cases. Overall, though Wily isn't the best of distros. It sure gave me the willies. 7/10. The end.